Last night in Boston, the first set of runway shows at the tent at the Mandarin Hotel in Boston took place and I was happy to have Amy Connolly from Creative Soul Spectrum cover the shows for me. (We recently met Amy in a Style Profile, here). Mendoza's show sporting casual yet chic neutrals with flouncy skirts and heads piled high in braids (which we saw a lot of at NYFW) took to the stage. 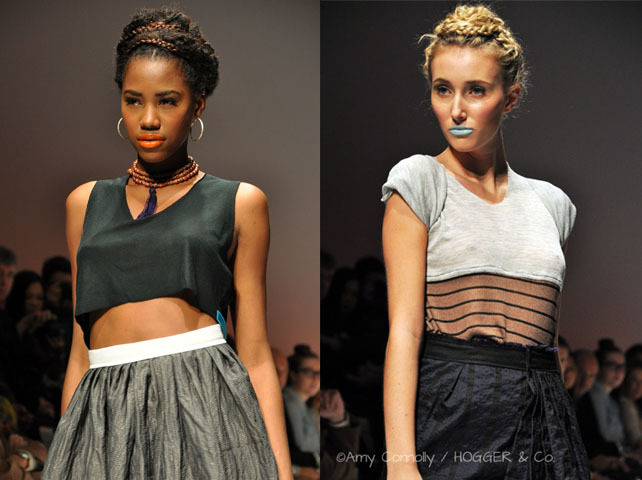 Visit CSSpectrum for more Boston Fashion Week coverage of Mendoza's show and thank you Amy for shooting for Hogger & Co.!